Join Owen and Claire on a thrilling adventure and Build the LEGO Jurassic World Indoraptor Rampage at Lockwood Estate set! 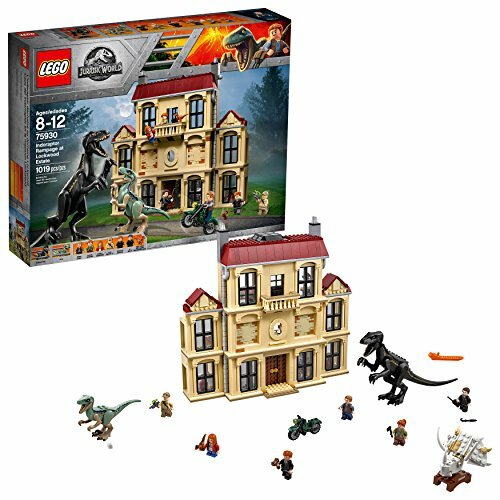 Build the museum and laboratory from the film, with removable windows, collapsing roof function and dinosaur toys! 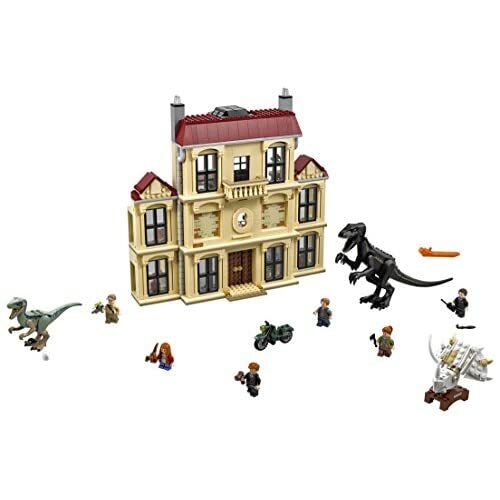 Jurassic World dinosaur play set includes LEGO minifigures Owen, Claire, Maisie, Mills, Wheatley and Eversol, plus Indoraptor and Velociraptor figures. This is the coolest gift for boys and girls who love dinosaurs! Recreate the thrilling scene from the epic film Jurassic World: Fallen Kingdom when you build the LEGO Jurassic World Indoraptor Rampage at Lockwood Estate. This best-selling dinosaur toy features cool moving functions and popular dinosaur figures. Start a fun dinosaur adventure with Owen and Claire and build Lockwood Estate from the memorable film Jurassic World: Fallen Kingdom! 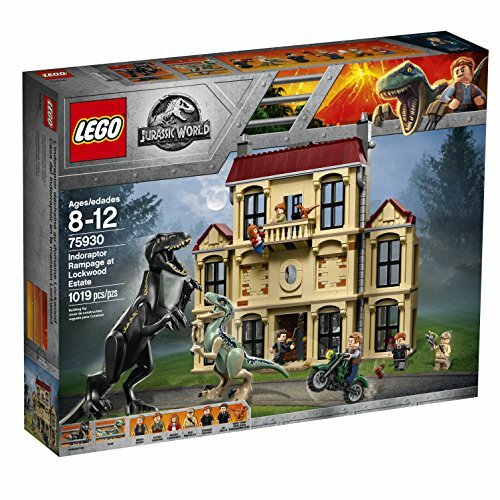 Jurassic World building sets are compatible with all LEGO building toys. Lockwood Estate measures over 8” (22cm) high, 6” (16cm) wide and 8” (22cm) deep. This dinosaur building set is perfect for boys and girls ages 5-10. 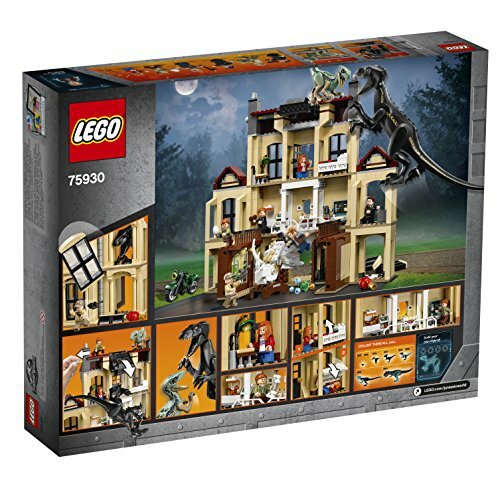 Play out an epic dinosaur battle in this detailed LEGO Jurassic World 75930 Indoraptor Rampage at Lockwood Estate play set. Help Owen, Claire and Blue rescue Maisie from the hybrid dinosaur inside the 3-level building, featuring configurable walls, a museum, laboratory, office, bedroom, removable windows, collapsing roof function and a large buildable triceratops skull. This toy for girls and boys includes 6 minifigures and 2 dinosaur figures.